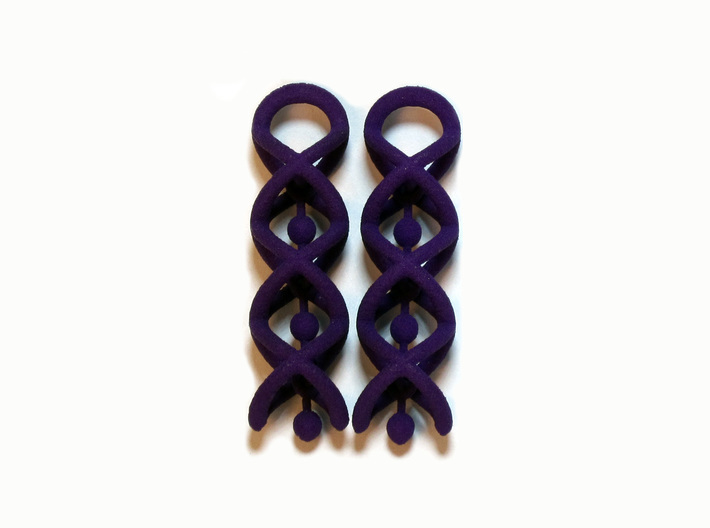 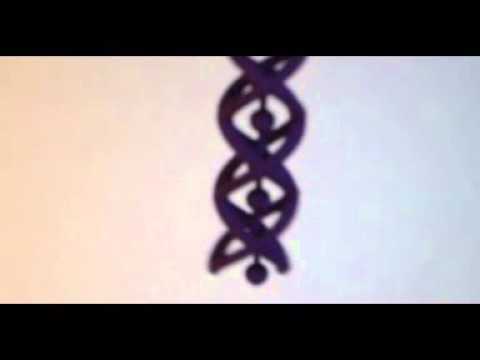 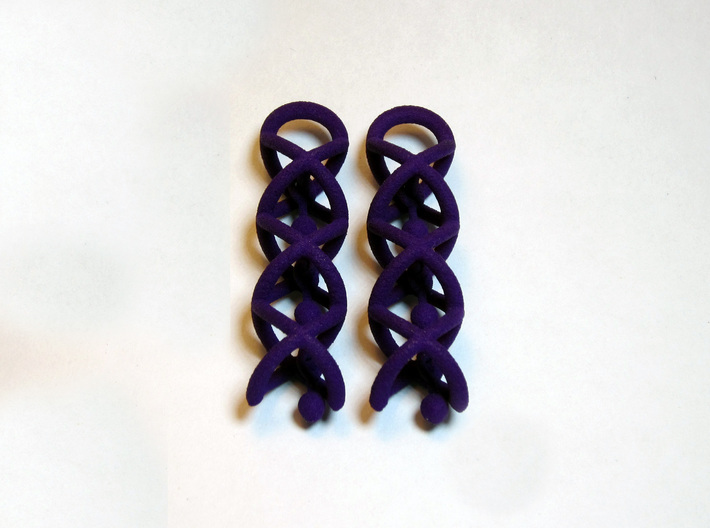 Earrings comprised of two double helixes with opposite rotation. 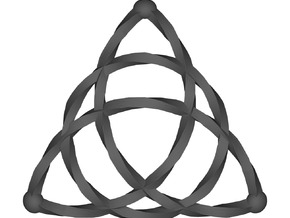 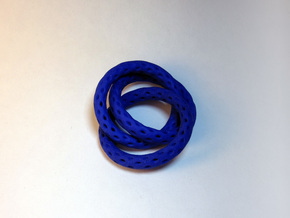 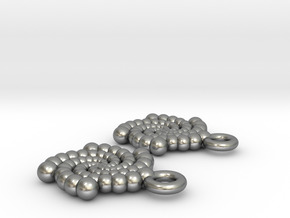 A chain of spheres dangles inside the helical formation. 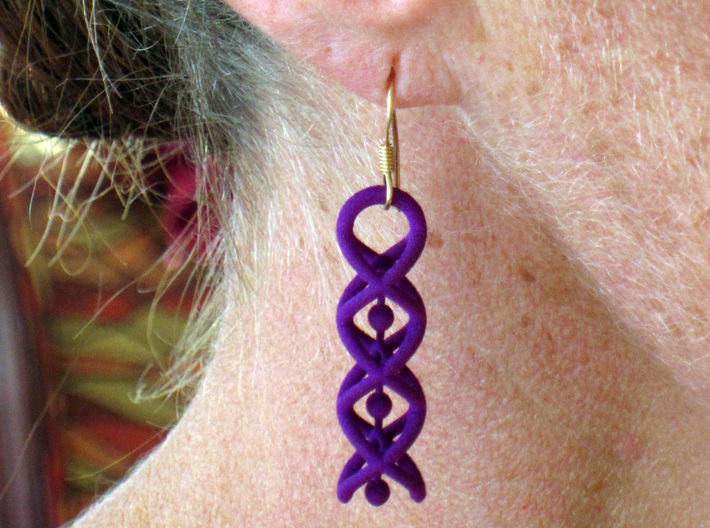 One pair of earrings, without ear hooks.